Nofrills Excursions will launch an online review function: a first-ever move by an excursion company in Mallorca that gives its customers a high-profile voice and potential influence with other guests. The new function will let Nofrills Excursions’ customers write their assessment of their recent excursion in Mallorca. Anyone will be able to read the reviews and share them via social media channels, such as Facebook and Twitter. Nofrills Excursions hopes that by giving customers the chance to write reviews, they'll be more engaged with the company and more likely to book more excursions. Nofrills Excursions doesn’t consider this a risky move. On the contrary, it thinks that it will help other travellers to share their opinion and it will offer a transparent image of the company by establishing a bidirectional communication with their clients. How will the reviews work? Once the client has been on an excursion, the client will be able to write their own reviews about the specific excursion they have been on. They will be able to rate the excursion and to write their opinion. Then they will be able to share this review with their friends or family by using the social networks of Facebook or twitter. This movement from Nofrills Excursions is part of the new philosophy that started in 2011 by giving a big importance to the on-line strategy. "On internet, we want to show to our clients that we listen to them and that we are open to their feedback" claims the company. César and Federica will be leaving at the end of this summer season. 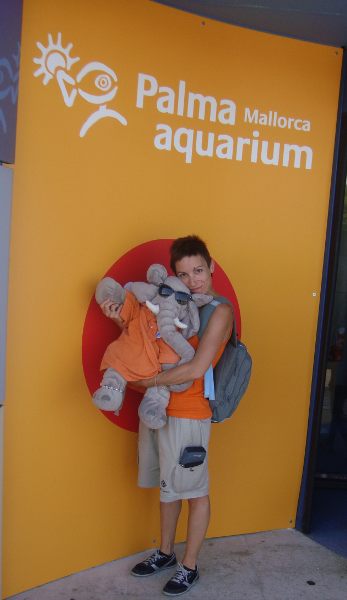 No Frills Excursions is sad to announce that César and Federica will be leaving at the end of this summer season. They have both worked extremely hard this summer and have contributed greatly to the growth of No Frills Excursions. Federica has been a great asset with sales, guiding excursions and helping with commercial work. She has excellent language skills and has been very valuable to the company. César has moved the company forward a great deal by implementing Intranet systems and by developing the on-line marketing as well as playing an important role in the day-to-day running of the main office. No Frills Excursions would like to wish Federica and César the best of luck in their forthcoming venture and is sure they will be successful in running their own business. Nofrills-excursions.com announces the move of a valued member of staff Jasmin Neuhaus to the Naiade hotel group in the Maldives. Naiade resorts boasts luxury hotels in Mauritius, the Maldives and Reunion Island and Jasmin will join their sales staff based in Germany. 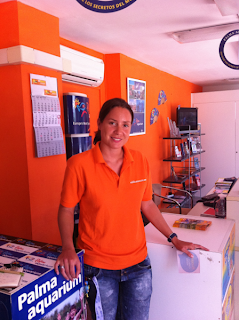 During her time with nofrills-excursions.com Jasmin became a bench mark for standards and led by example with her innovative touch and flair for sales. The management team at no frills wish her continued success in her career. No frills excursions are a small travel agency operating fun sightseeing tours and family trips on the island of Mallorca. After a hot summer guiding excursions and having fun with his clients Henry is looking forward to his new position in Alcudia on the holiday island of Mallorca. 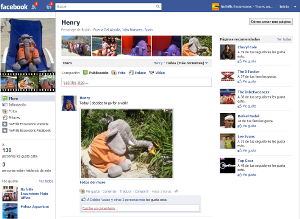 Henry encourages his friends to post pictures and share their holiday experiences on their social network, therefore providing a form of free advertising for the company and enhancing the customer experience for the client. Henry will be tasked with connecting with his friends and enhancing the customer experience of excursion clients while on holiday and on their return back to their home country. Henrys appointment is in line with Nofrills-excursions social media strategy, this includes the website Facebook which the business uses to connect with its customers. No frills excursions are a small travel agency operating sightseeing and family tours on the island of Mallorca. They specialise in fun tours with a friendly approach. No Frills Excursions offers tours from the north of Mallorca to different parks and attractions around the island focussing on high levels of service and good value for money. The excursion programme is very complete and incorporates sightseeing tours, family days out, boat trips and evening shows. No Frills Excursions also organises special tours to one-off events like La Liga football matches, local fiestas, wine tasting events and special guided visits. This weekend on Saturday 15th October, Real Mallorca football team is playing against Valencia and No Frills Excursions is organising transport from resorts in the north of Mallorca and match tickets for 54€ for the package. We would like to inform you that due the fact that the tourist season is drawing to a close in Mallorca and the hotels, bars and souvenir shops will be closed by the end of this month. This means that the season is also finishing for No Frills Excursions who offer tours from the resorts of Alcudia, Can Picafort and Puerto Pollensa. Nofrills excursions will still be running excursions until the end of October but the programme will be slightly reduced as there are less holiday-makers around. We would like to take the opportunity to thank you all the customers that have been on our excursions and all the sale points that have been working with us during the season 2011. Nofrills excursions is created an app for Iphone to allow users to check their excursions and services. 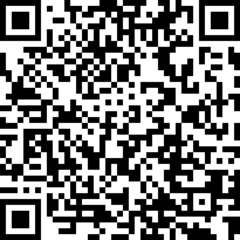 The app is available on the link below, and we also include a QR ode to download it directly into you smart phone. The creation of this app is part of the online strategy of Nofrills excursions “We believe that times are changing, and nowadays the clients have smartphones and access to internet so we have to create tools for them in order to find us and to know about us”. This is the first step for creating a more developed app that will allow customers to book their excursions in Mallorca through the app.